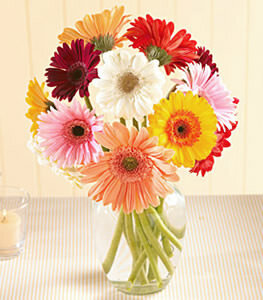 Brighten someones day with this cheery collection of mixed color gerbera daisies. This bouquet is perfect for any occasion. Stems in a variety of mixed colors will be selected; exact colors may vary from those pictured. Thats really cool that you did that. Thank you very much. The next time we send flowers to our family we will definitely remember this.